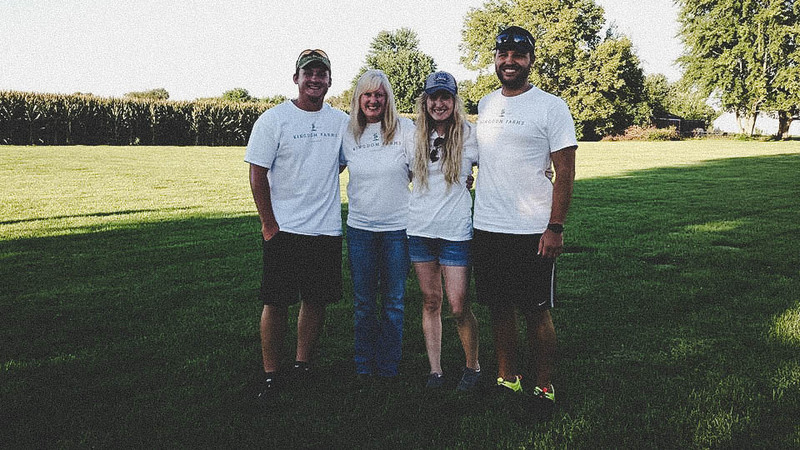 Kingdom Farms was founded by a first generation farmer with the belief that our local communities deserve access to healthy, non-GMO, Certified Naturally Grown foods. Rooted in this belief, Kingdom Farms was started in 2016 on the west side of Indianapolis. Our farm is a full service vegetable farm serving CSA memberships, farmers markets, and Indianapolis area restaurants. You can find Kingdom Farms vegetables at the following farmers markets on Indy's west side: Brownsburg, Danville, Pittsboro. Sign up for CSA memberships are available from Kingdom Farms starting in February. Full & half memberships are available. We are in the process of expanding our produce offerings in local retail and restaurant locations. Sign up for our newsletter for more info. Hi, my name is Austin Moxley, I am the founder and owner of Kingdom Farms. I am a first generation vegetable farmer who has a big heart for my community. I spent my undergrad years at IUPUI studying exercise science, where I learned about the body, health, and the positive impact it has on the community. After graduation, I started a small garden to help provide my family with healthy, non-GMO foods. I loved being able to work outside every day and have fresh foods to bring to my family's table. I was amazed at how things grew from a seed in the ground into this amazing plant that produces food for us to eat. I ended up having such an abundance of food I would take it to the local farmers market and I would sell out of everything. As the growing season went along I started thinking about how I could bring more fresh food to many other families' tables and make a difference in their health and well-being. Every night before bed I would study all that I could about small-scale market farming. You have to understand that this was a big shock to my family and friends because I was on the path to be a college football coach. However, I started to notice the importance of small-scale farming and how I could use my skill set to make a difference in people's lives, so I decided to take a step back from college coaching and focus on the farm. I still coach at my local middle school, but I now focus on farming full time. As I took this adventure face on I kept seeing that the majority of all farmers are only growing soybeans and corn. I learned that the seed and chemicals that they spray on the fields would make you question how those farming practices are even allowed. After researching the impact GMO foods have, I knew that my community was in need of a vegetable farmer who would provide fresh local produce every week. I am not only excited for this upcoming growing season, but my team and I are thrilled to make an impact on those in the community by providing non-GMO foods that are healthy for people's bodies. We have a big heart to see the people in our community have access to healthy food, but to also make an impact for the Kingdom of God by sharing the love of Jesus to everyone we encounter. God has given us this opportunity to work the land He made and produce abundance from it!